Diego de Col has been photographing the MOTUL FIM Superbike World Championship for ten years. Before that this photographer by vocation, born five kilometres away from Monza, had covered the F1 Championship for two seasons. But his passion has always been motorbikes, and especially the WorldSBK championship that would visit his city every year. 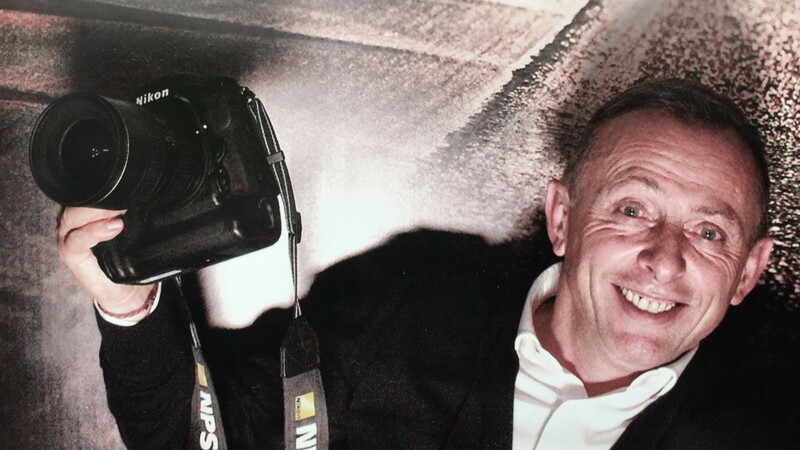 Although de Col studied electronic engineering and opened his own business in the automobile sector, his love of photography ended up prevailing and he gradually began to publish his motorsport pictures with a local agency. “Ten years ago I began to apply for WorldSBK accreditations and started following the championship through Europe”, the man himself tells us. “After that and with the help of a wonderful agency, I started to follow the races all around the world, working and publishing for several teams, magazines and digital outlets. I’m happy with what I do, but I always want to learn more about this wonderful profession, full of emotions”. “You end up liking a lot of photographs, but some of them also move you. This is a picture that moved me when I took it and it still does today, whenever I see it; it was also pretty big back in its day because it was published on the front cover of Italy’s biggest motorbike magazine. I did it in Donington, May 2012. In Race 1, a BMW bike had won for the first time in WorldSBK history, thanks to Marco Melandri. 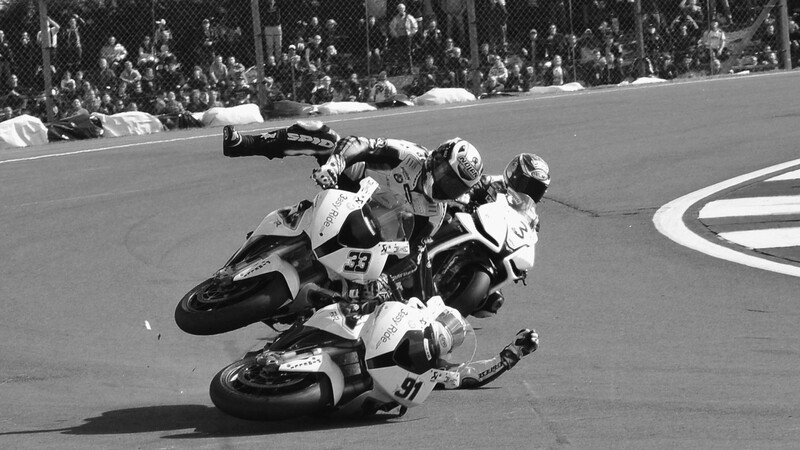 In Race 2, on the last lap and the last turn before the finish line, Leon Haslam was leading and about to complete a BMW double, but a collision with Jonathan Rea caused this incident: Haslam and Melandri end up on the floor and a historic double BMW win is frustrated, followed by the two riders fighting and huge anger inside the BMW team. “The most thrilling moment for me, knowing the importance of what had happened, was when I sat down, put on my glasses to review the picture… And confirmed that it was ok. I knew I was the only photographer that had snapped that moment – I was incredibly proud of myself and I thanked my good luck, also because neither of them were hurt by that fall”.